If you are successful in obtaining a grant, you must agree to complete a short report on how you used the awarded money after three months, and acknowledge the support of Time To Shine in all related publications, reports and press releases. We would encourage you to use #becauseofTTS and the Time To Shine logo which is available on request from Young Scot. 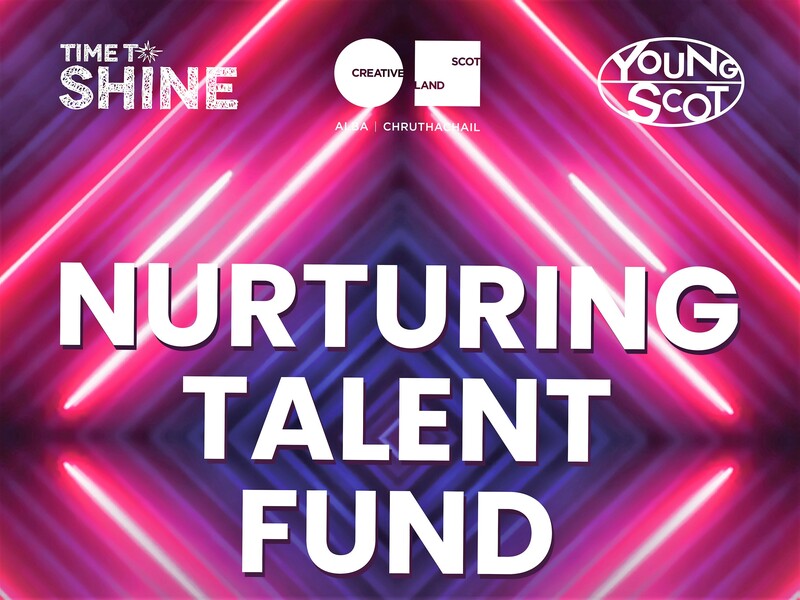 If you are successful in obtaining a grant, you must also agree to take part in any publicity for the Time To Shine Grant Fund on behalf of Creative Scotland or Young Scot. You also agree to supply Young Scot with any necessary support materials and information they may require for these purposes. If you are under the age of sixteen, you must ask a parent or guardian to complete the section at the end of this form. By completing this application form, you confirm that you have read the Time To Shine Information and Guidance Notes. Please note: You MUST submit the requested bank details and references when completing your form. Failure to do this may result in your application not being accepted.